This 17 second hd aerial stock footage makes a great cut-away or establishing shot, especially for corporate videos describing business and industry. And it is available for an amazingly affordable price. It is shown here un-graded and that’s the way I deliver the master clip to you, so you can put whatever grade or color correction you want on it. It was shot very flat and very neutral at 30 frames per second, well, 29.978 to be precise, in full 1920x1080P high definition. The clip runs 17 seconds. 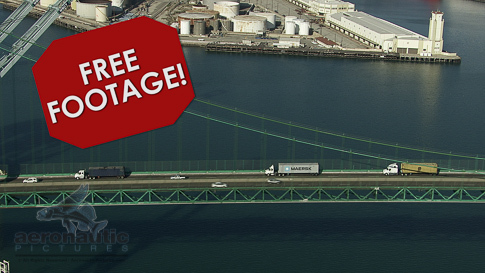 There is no watermark on HD stock footage you download from our site.